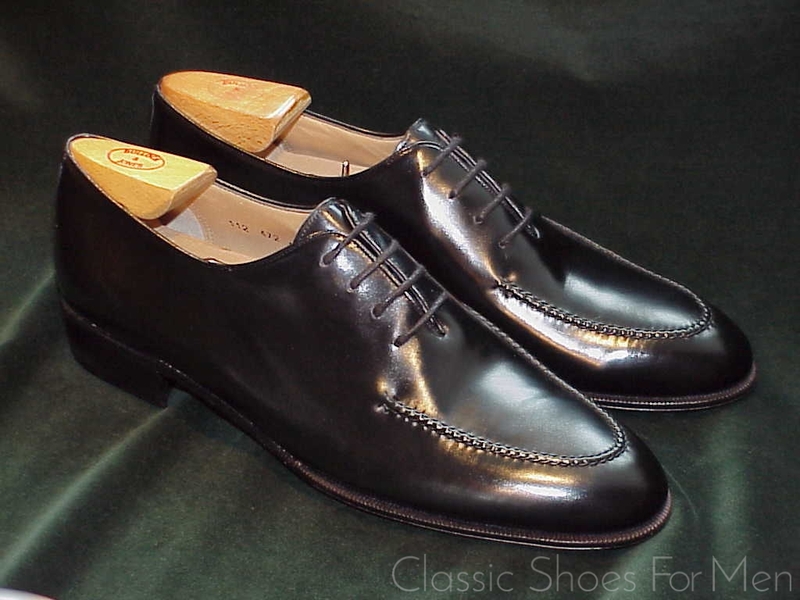 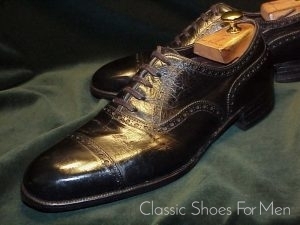 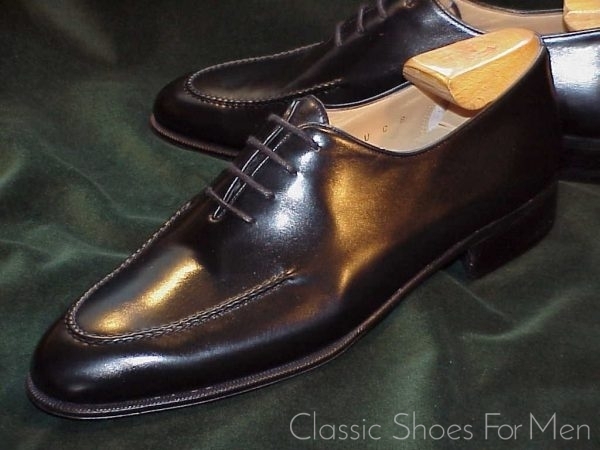 This is a most unusual model for Ferragamo or any other maker; a wholecut (any shoe who’s uppers are made from one piece of leather) but not like any other, its front embellished with a raised apron more commonly seen with a loafer. 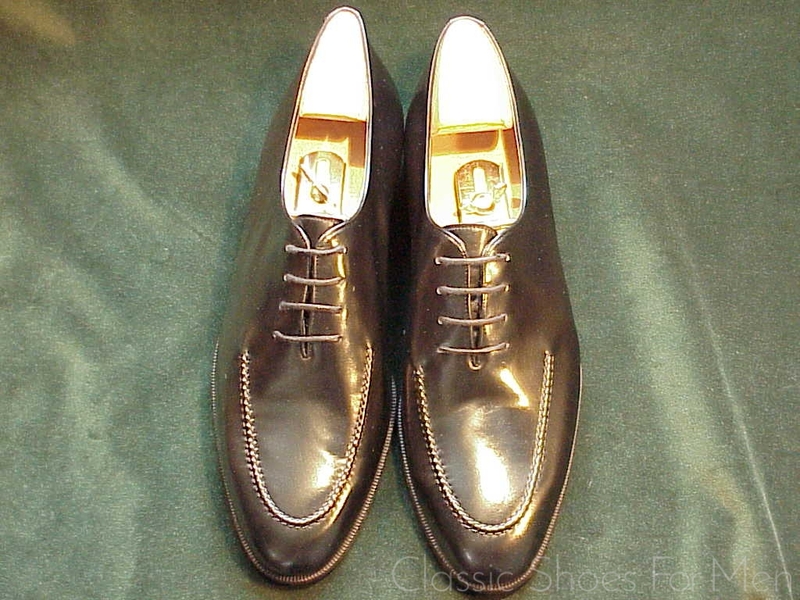 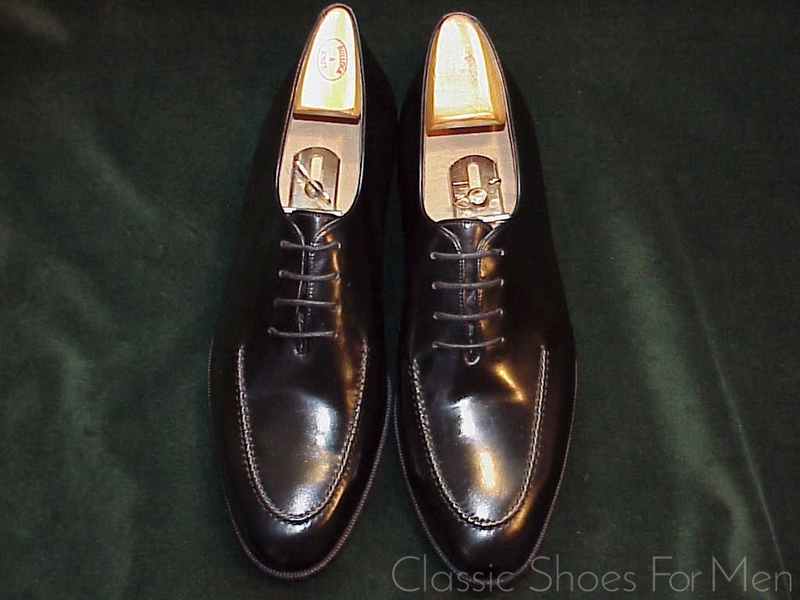 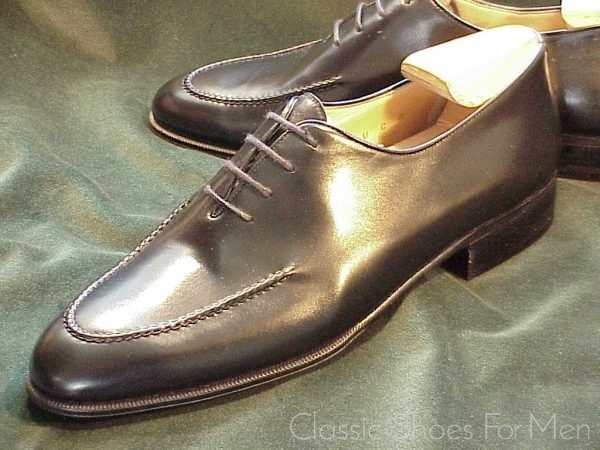 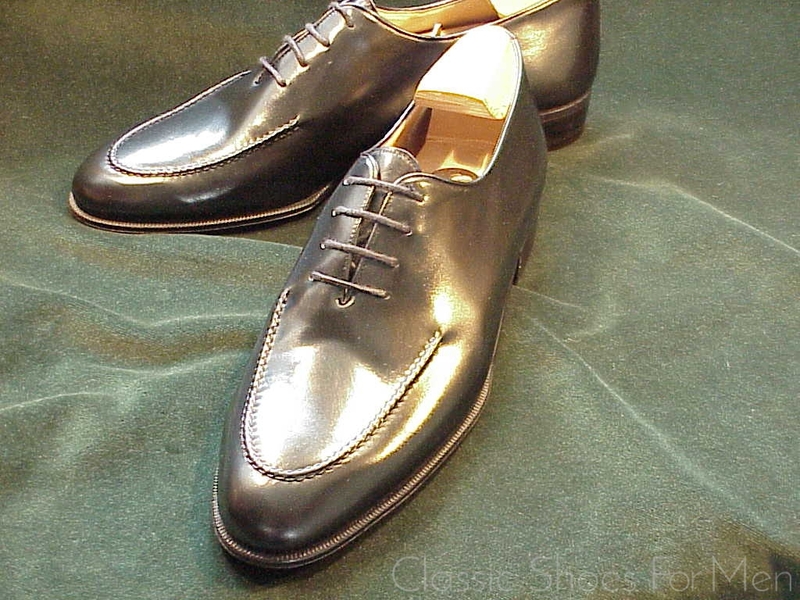 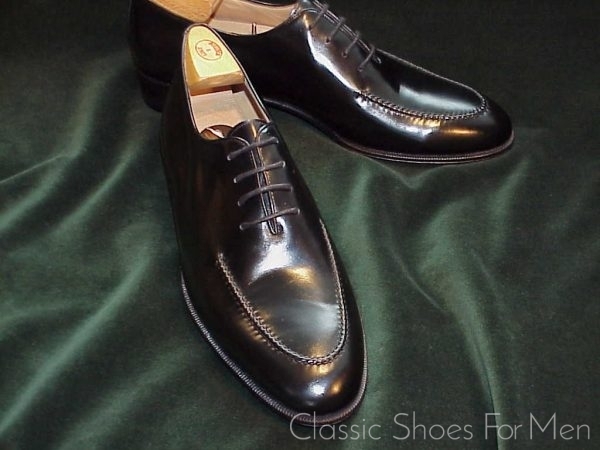 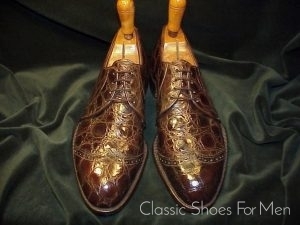 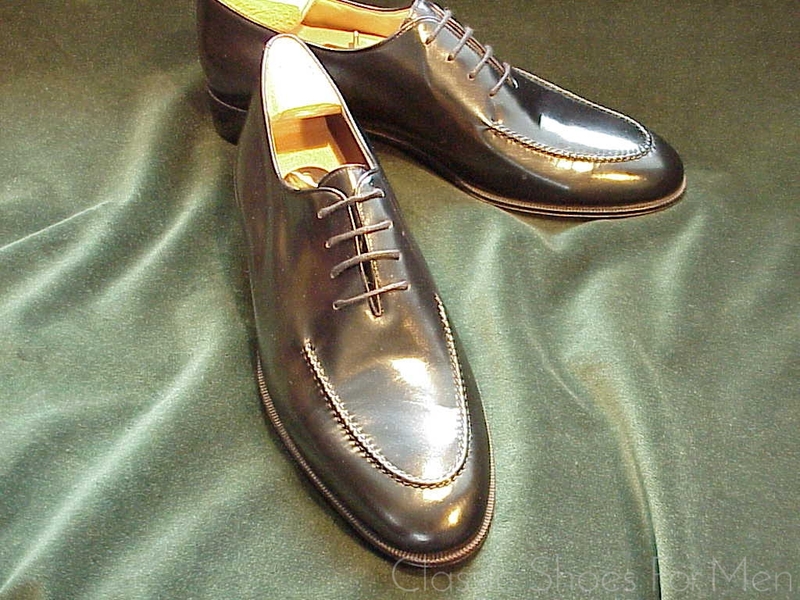 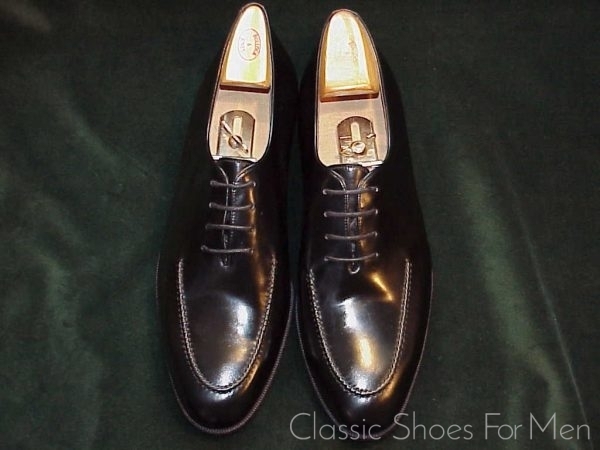 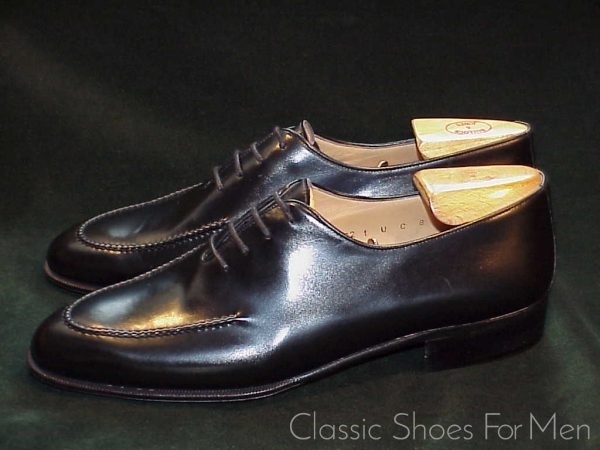 This model has not been offered by Ferragamo, to my knowledge, for more than 20 years and this shoe, evidenced by the accompanying shoes trees, appears to have first been sold by the venerable men’s haberdasher, Bullock & Jones at Union Square in San Francisco. Bullock & Jones closed their doors in 2001. 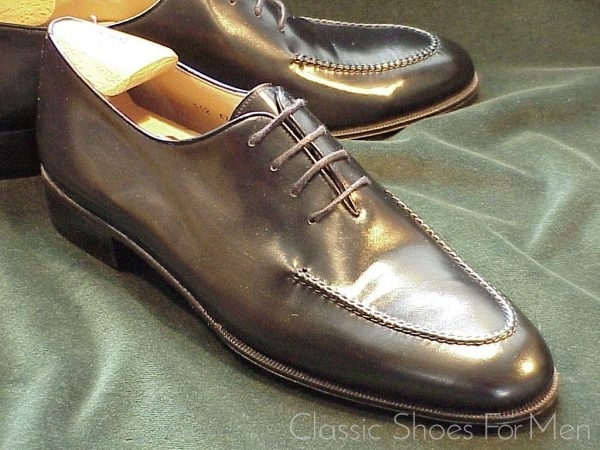 The elegant stream-lines of this shoe, the luxurious quality of leather used and, above all, the extraordinarily sleek overall design will make a dazzling appearance under your trousers. 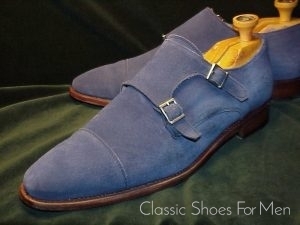 This is a personal favourite and has my highest recommendation. 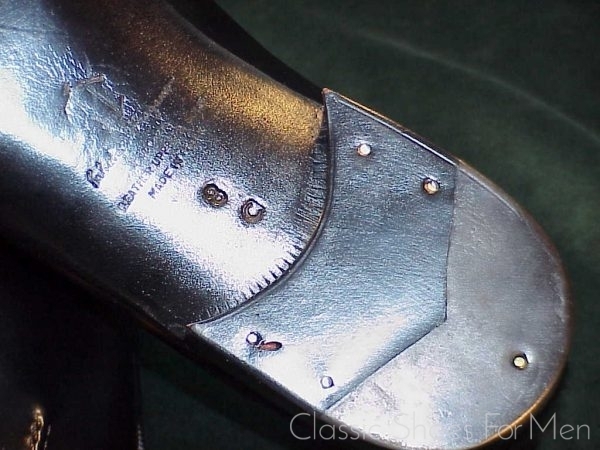 Size: Marked US 8C (suitable for 7.5D)….UK 7D….Continental 40,5D or 41C. 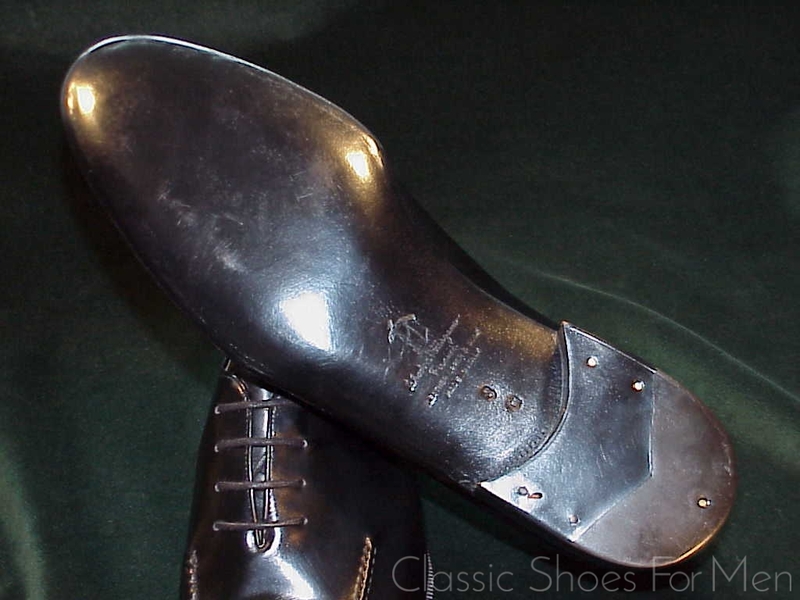 A high-contrast camera setting provided to show details.